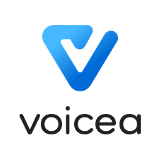 Voicea has created the leading voice collaboration platform to activate meetings with EVA, the Enterprise Voice A.I. “Turn Talk Into Action” with Voicea. A free whitepaper on how to maximize time spent in and after a meeting.